There is a new, natural product hitting the shelves of pet stores and websites that have the ability to help manage multiple ailments dogs commonly suffer from. And you might find it surprising that this product is derived from marijuana! Not to worry, these are not the kinds of psychoactive cannabis products your parents warned you about in middle school. Rather, our four-legged friends can benefit from CBD, a non-psychoactive compound found in the stalks and stems of hemp plants. 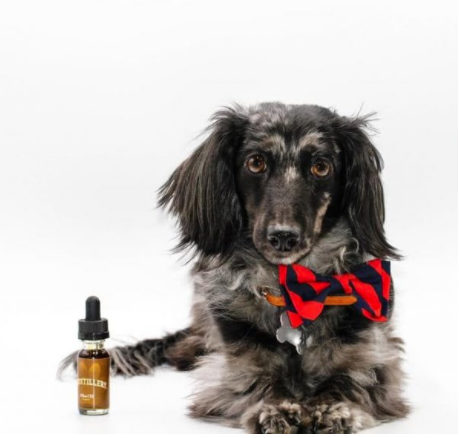 The same hemp oil that has become popular among humans for its health benefits, is also now a highly effective natural treatment for illnesses in your dogs. Let’s look at four specific dog illnesses that could become better managed with CBD oil. 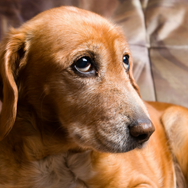 It’s difficult to watch your dog get older and suffer from arthritis and pain. Fortunately, CBD is known to alleviate stiffness and pain associated with arthritis in dogs. One standout story Thoman McDermott who didn’t know how to deal with Teddy, his 12-year-old yellow Lab’s affliction with arthritis who could barely move due to arthritis and hip pain. Almost immediately after giving Teddy CBD oil, he noticed him moving around more freely without pain. The dog’s appetite also returned, which was an added bonus. There are many reasons why dogs can suddenly experience seizures including head injuries, anemia, cancer or a stroke. Regardless of the cause, it is never easy to watch your dog experience a seizure and more so, feeling helpless to getting a seizure to stop. Studies have shown that a small amount of CBD oil has the ability to stop a seizure as well as reduce the frequency of future seizures. Rather than rely on drugs that bring horrible side effects, CBD is an all-natural product. Now you can avoid causing potential damage to your dog’s vital organs from drugs like potassium bromide or phenobarbital. While it’s important to pay attention to proper CBD dosing, science shows an 84% decrease in seizures for all breeds. It still pays to work with a veterinarian that understands proper administering to avoid potential overdosing. Does your dog suffer from separation anxiety or noise phobia? Unfortunately, anxiety in dogs isn’t just annoying and distracting but can also lead to aggression. Thankfully, similarly to humans, one of the most common reasons dogs can benefit from CBD oil is for anxiety purposes. When CBD is ingested, it enters a dog’s endocannabinoid system and specific receptors are activated. One of the benefits of the endocannabinoid system is its ability to send communication between other systems in the body. When a dog is given CBD, receptors “speak” to one another allowing your pet feel calm. Has your dog recently been obsessively licking his paws, shaking his head, or scratching his coat? If so, there is a good chance he is reacting to allergies. Regardless of the cause of irritation (environmental factors, food allergies, hormone imbalances, etc.) the symptoms of skin inflammation are all the same. Some common side effects of prescription allergy medicine include sedation, constipation, and inappetite arguably leaving your pet worse off than before. Luckily Cannabidiol, which has natural anti-inflammatory properties, reduces allergic reactions as well as calm obsessive behaviors like paw licking. It is always recommended to consult your veterinarian prior to administering CBD to your pet. The CBDistillery™ was founded by a group of Colorado natives with a strong belief that people have a right to the highest quality, fairly priced hemp derived CBD. We aim to provide more than just exceptional products and service, we are on a mission to provide hemp derived CBD to all through the #CBDMOVEMENT, by providing access to education, research, and testimonials.